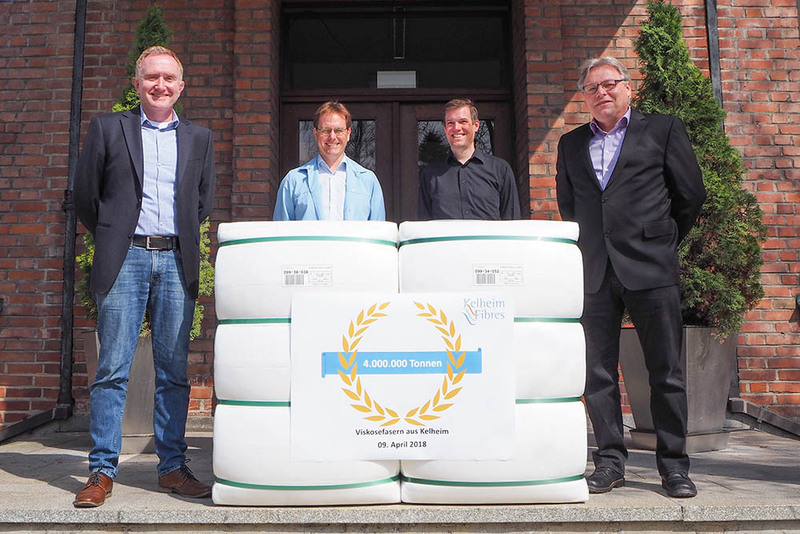 Production Manager Konrad Brunner (on the right) and a part of his team proudly present the 4,000,000th ton of viscose fibers from Kelheim. On Monday April 9, 2018, speciality fibers manufacturer Kelheim Fibres produced their 4,000,000th ton of viscose fibers! Considering that about 5,000 shirts or even 500,000 tampons can be produced from one ton of viscose fibers alone, one can get an idea of how many people all over the world have come into contact with viscose fibers from Kelheim.